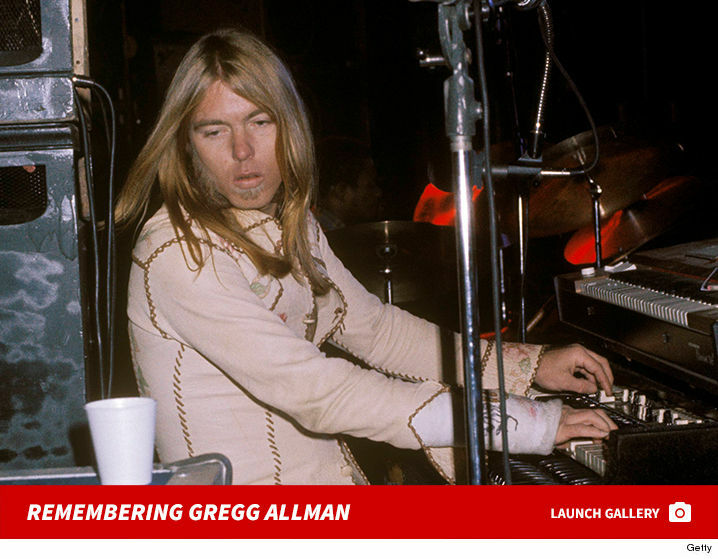 Gregg Allman — the musician, singer and songwriter known for fronting The Allman Brothers Band for 45 years — has died from complications due to liver cancer … TMZ has learned. Allman’s longtime manager tells us … he died peacefully at his home Saturday in Savannah, Georgia. We’re told he has been dealing with multiple health issues ever since being diagnosed with cancer 5 years ago. The manager also tells us Gregg had finished his last record … which will be released in September of this year. Allman was known for his long blonde hair and being a rock n’ blues pioneer along with his brother Duane. They founded their band in 1969, and Gregg rocked with them until their final show in 2014. He is survived by his wife, Shannon Allman, 5 children — including a son he had with Cher — 3 grandchildren and a large extended family.